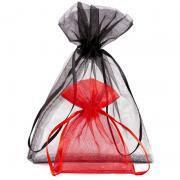 We are presenting you organza bags. The best and most popular products in our online-store. 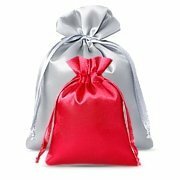 Our favour bags made of organza enjoy unflagging popularity at various parties and occasions. 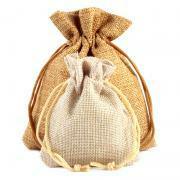 These fantastic pouches are a small but an important element of many celebrations. 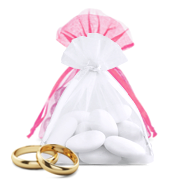 For example, the gift of organza puches is very popular at weddings. Such a gift is a symbolic way to thank all guests for participating in this special day for a young couple. 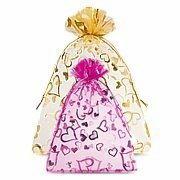 We offer organza pouches to all our customers in many models and sizes. From the simplest and the smallest, through medium to the largest sizes. 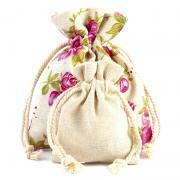 What is more, we have purses with attractive and colourful decorative prints! 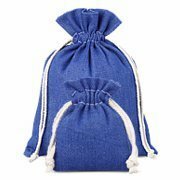 The favour bags delight with their colours, so if you are looking for this type of accessories, our offer should not disappoint you. From classic colours such as white, red and black, through gold and silver, to various shades of purple, pink, green, yellow, blue (blue, turquoise, indigo) and brown. We have all that you may need. 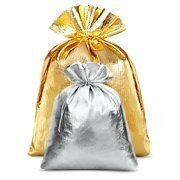 All the pouches offered in our store are packed in sets of 5, 10 and 25 pieces. Organza is a thin fabric traditionally made of silk yarn. 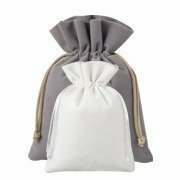 It is characterized by a kind of transparency and has many uses, such as organza pouch, curtains and sheets, wedding or evening gowns. 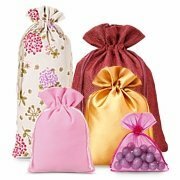 Nowadays organza is also made of cotton and synthetic fibres, which are cheaper and more durable than their natural predecessors.